Knowing which discs to throw is one of the more common challenges that newer disc golfers encounter. 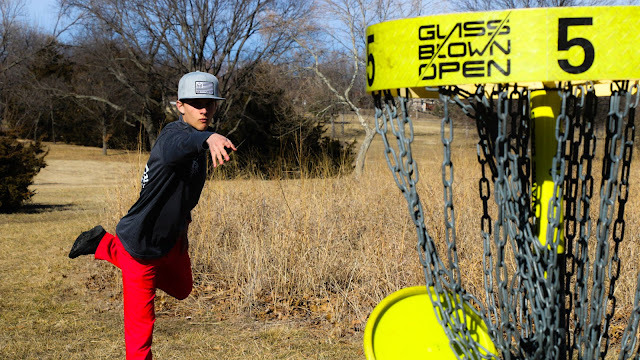 Rather than going through the trial and error of buying new plastic and seeing if you like it, we’ve put together a guide that clues you into the best discs for those with developing skill sets. Our first post in this series focused on the fairway drivers that will best suit players with a slower arm speed or those who are still refining their form. Next, we tackled midrange options and discovered the best discs for executing a straight shot at your target. In this final post, putters are the name of the game. For most players, their putter selection can be a little more flexible unless they have a trusted disc or two that’s been in rotation for years. Let’s check out three different putters to see which one might best suit your game! A popular option among pro and casual players alike, the Warden offers an easy release design and will fly dead straight into the heart of the chains. After the success of the Judge, DD created the Warden as a beadless option that offers a ton of glide and a very comfortable fit in nearly anyone’s hand. Try using a few Wardens in your bag and see how they work for you with varying levels of wear. You might find that this disc becomes a trusted approach tool as well as your go-to putter. If you prefer a beaded putter and the Warden just isn’t your cup of tea, try the Crown by Westside Discs. Crafted to bring consistency to your putting routine, you’ll find that this disc holds whatever line you put it on during even the most challenging approach shots. Another putter with a good amount of glide, you can depend on the Crown to help you sink putts with ease. Our third featured putter is one that’s specifically designed for beginners, children, and players who haven’t quite broken the 300’ mark off the tee box just yet. The Ruby comes in lightweight versions as low as 150g, so even if it’s your first time on the course you’ll be able to find success. The Ruby allows players with smaller hands to grip the disc with ease and has a neutral flight that lets you experiment with different lines. This disc is also offered as part of a beginner set and will be a welcome addition to anyone’s bag. Now that you’ve learned about some of the best options for newer players, it’s time to go shopping! Experiment with all three of our recommendations for drivers, midrange discs, and putters to see which combination of discs best suits your game. As you grow in your skills and confidence, you will find that these discs will still hold a place in your bag, yet they just might be used for other types of shots. Which putter discs are your favorites? Let us know in the comments below!